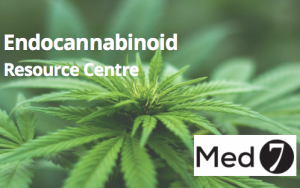 Have you been hesitant to prescribe cannabidiol (CBD) because of concerns about gastric acids converting the CBD into psychoactive tetrahydrocannabinol (THC)? In 2016, a study by Merrick et al. suggested that when CBD is exposed to an acidic environment, it degrades to Δ9-tetrahydrocannabinol and other psychoactive cannabinoids. The following is a more recent study that contradicts this finding. The researchers concluded that “the acidic environment during normal gastrointestinal transit can expose orally CBD-treated patients to levels of THC and other psychoactive cannabinoids that may exceed the threshold for a positive physiological response.” The researchers thus issued a warning concerning oral use of CBD and recommended that new delivery methods, such as transdermal applications, be established to avoid this consequence. Cannabidiol (CBD) is a cannabinoid of the cannabis plant devoid of intoxicating effects. 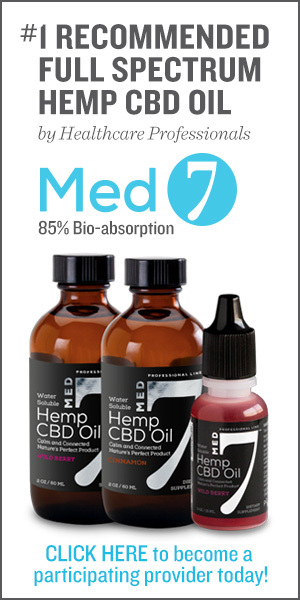 It may be of therapeutic value in a large number of diseases, including epilepsy, anxiety disorders, depression, schizophrenic psychosis, inflammatory diseases, dystonia, nausea, and vomiting without causing relevant or severe side effects.1 No biosynthetic enzyme or pathway exists in the human body to convert CBD to THC. However, recently Merrick et al.2 conducted an experimental in vitro study, which demonstrated that CBD rapidly cyclizes to THC in an acidic environment such as in the stomach. They concluded that patients treated with oral CBD may be exposed to significant levels of THC, which may cause unwanted psychological effects, and suggest that other delivery methods such as transdermal-based applications, which decrease the potential for formation of psychoactive cannabinoids, should be explored. Healthy volunteers were given 200 mg oral CBD and alcohol or CBD alone or alcohol alone. CBD alone did not produce any impairments of motor and psychomotor performance. Healthy volunteers took an oral CBD dose of 1 mg/kg body weight, which reduced the anxiety provoked by THC given simultaneously in a dose of 0.5 mg/kg. CBD was evaluated for symptomatic efficacy and safety in 15 neuroleptic-free patients with Huntington disease. CBD showed no significant or clinical differences compared with placebo in the cannabis side effect inventory. A double-blind, crossover, placebo-controlled study of 16 healthy male volunteers compared the effects of 10 mg oral THC and 600 mg oral CBD. There were no differences between CBD and placebo on any investigated variable. The intake of THC on the other hand was associated with anxiety, dysphoria, positive psychotic symptoms, physical and mental sedation, subjective intoxication, and an increase in heart rate. Click below for the full text study to review all of the supportive studies. In the Merrick et al. study, the researchers noted “oral CBD showed a relatively high incidence of somnolence and fatigue in children with epilepsy.2” They surmised these effects could have been due to “isomerization of CBD to THC after oral intake in gastric fluid.” The Fonji et al. 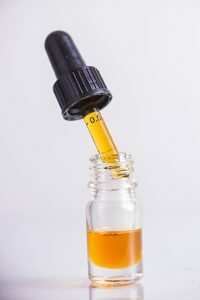 researchers in the follow-on study say this contradicts previous clinical trial findings showing that in fact high-oral CBD doses results in the opposite symptoms of THC or marijuana/cannabis, such as a “reduced appetite, improved cognition, and antipsychotic effects.” Overall, the researchers noted that the original study may have used inappropriate methods for human studies, such as dissolving CBD in methanol.